“We have known Jim Lee and Nuts About Hi-Fi for many years. So, recently when our Home Theater receiver of 10 years began acting strangely, particularly with respect to dialogue (the center channel would go out) and our TV of the same vintage started showing signs of a rapidly deteriorating picture, we called Matt at Nuts for a consult. Ultimately, we wound up ordering a new Anthem 5.2 channel Home Theater receiver and a Samsung 49” TV, both exactly what we needed and both reasonable cost components. Matt didn’t push us to purchase more than we needed. The components were ordered and arrived when he said they would. As an aside to working with Matt, it’s important to note that he has spent a fair amount of time on the phone with me sorting out technical problems, mostly with my old two channel system. He’s done this with a great spirit and a lot of expertise. Part Two of the saga is the delivery and installation of the new components, something we have always done ourselves. Right as scheduled, Adam from Nuts arrived with the new components and proceeded to remove the old stuff and install the new. He ran the setup programs and proprietary room correction software and sorted everything out. I am sure I could have eventually done what Adam did in about two hours, but in a couple of weeks. Audio/video gear has gotten very complicated now, initial set up is very important and Adam was more than up to the task. Nuts was also willing to recycle the old components. So, what can we say, but wow! The new TV is so clear, bright, colorful and with stunning resolution, it’s like nothing we’ve seen. 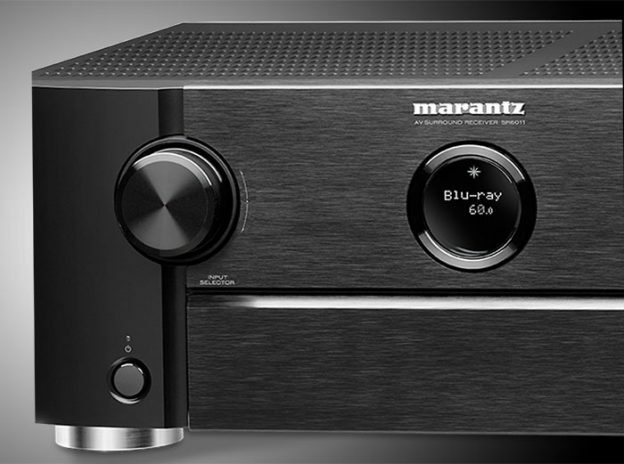 The receiver is equally amazing with the most notable improvement being in two channel music reproduction. The sound is so much better detailed using the room correction software with the same speakers that we had before, it’s hard to believe. This entry was posted in Testimonials on December 4, 2018 by Admin. On my way to a Doctor’s appointment I passed by a store in a small mall in Silverdale, WA. It is called Nuts About Hi-Fi. After the appointment, I stopped in to check it out. I’m pretty much “nuts about hi-fi”, and I couldn’t pass it by. What a wonderful surprise. It turned out to be a store full of amazing gear, and amazing people. I was in the market to upgrade my headphones and speakers. After spending a couple of hours with Jim Lee listening to some amazing Focal speakers, I headed home with a new set of amazing Focal headphones, and a promise from Jim to stop by my home, (about 30 miles away) to check out my listening environment to see what he thought would work best for me. Jim stopped by as promised and spent some time helping me to set up my existing speakers to maximize their potential. 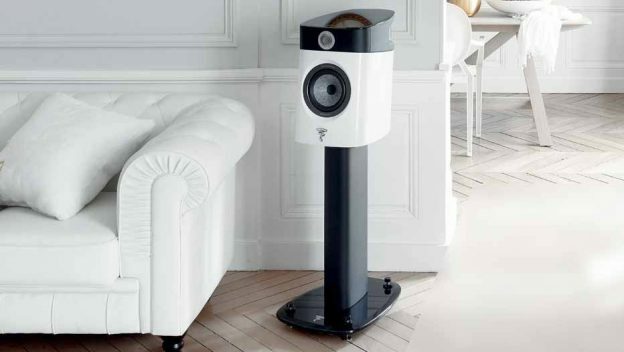 We talked about a set of Focal Sopra # 1 speakers that he though would really be perfect for my room. To keep this from getting too long, I’ll just say that I took Jim’s recommendation on the speakers and ordered a pair of them from him. A week later, Jim was back with the new Focals. He spent a couple of hours breaking down my old gear and setting up the new speakers. They are amazing, and are certainly a perfect match for my room. Now, I am enjoying my music more than I have in years. Focal Sopras are superb with a level of definition and clarity that I have never heard before, and I’m sure they will sound even better after they fully break in. The kind of service and expertise that Jim and the staff at Nuts About Hifi provided throughout the process is a rare thing these days. It was greatly appreciated, and I am sure I will be a long term customer. They are the best. This entry was posted in Testimonials on May 13, 2017 by Jim Lee. My wife and I are new to the area and happened to find Nuts about hi-fi by accident. We went in to the the store not knowing what to expect as far as products and service go. We were greeted by Jim and he introduced us to his staff. He was very helpful and took great interest in finding a great home theater solution that was perfect for our home. Jim was amazing at caring for us as customers, to the point where he came to our home and expertly dialed in our Marantz receiver with our Focal speakers. I can’t say enough great things about this store and the amazing people who work there. We are defiantly customers for life! This entry was posted in Testimonials on January 24, 2017 by Admin. Thanks to all at Nuts About Hi Fi. We recently did an upgrade to our sound system with Jim and the Nuts About Hi Fi staff, not only adding the beautiful Sopra N2s but also a Sooloos system. My experience has been that many speakers which provide as much clarity and detail as the Sopra N2s can be laboratory like… not having much warmth and musicality… certainly not as much as I would like to have. 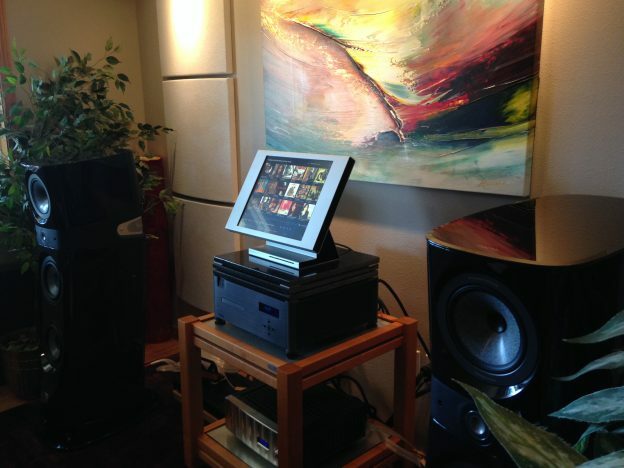 The Sopras absolutely have all that and more… approaching speakers that cost multiples of their price tag. We’ve been lucky to have some very good speakers in our system and the Sopras performance beats all of them by far. In particular, the beautiful liquid midrange can keep us captivated for hours. Now my wife, who has a much better ear than I do (no comments Jim! ), can’t wait to listen to music rather than watch Food Network. We’re also excited to have the Sooloos system. Having fingertip access to thousands of CDs via downloads and with amazing sonic fidelity, without doubt it adds great enjoyment to our listening experience. If you have a great DAC, this is for you. Having said all of this, what really sets Jim and the Nuts About Hi Fi staff apart is the customer focus that they exhibit, ensuring that they understand your system and doing everything they can to meet needs and exceed expectations. We recently located to Washington State. Previously I’ve worked with dealers from Tulsa, Oklahoma City, Dallas, San Antonio and Denver. Not only was Jim more than happy to make time for us to A/B the Sopras against our former speakers… in our system… but never has anyone ever followed up with me after a purchase to ensure that the new component was working properly in the system and meeting expectations… until Jim. The customer relations shown by the entire staff truly provides for an outstanding experience. This entry was posted in Testimonials on June 30, 2016 by Jim Lee.